Vanilla beans, which have risen in price over the last several years. Michael Strange was unfazed when the price of vanilla doubled. But then it tripled and quadrupled. By springtime, Strange, president and owner of Bassetts Ice Cream, was facing a cost that had multiplied fivefold over just a year and a half. "Vanilla has always been a volatile item price-wise, but this was crazy," he said. Reluctantly, Strange raised the wholesale cost of his ice cream by about 5 cents per serving. It was the first time in memory he had considered the cost of vanilla in setting the prices, he said. "It works out to pennies per serving, but when you're talking about dozens of servings, pennies become dollars," he said. Strange's dilemma, shared by bakers and ice cream purveyors in Philadelphia and around the world, stems from a global shortage of vanilla that has been building since 2017, when a series of cyclones damaged some of Madagascar's precious vanilla bean crops. Compounding the problem is a growing demand for organic vanilla by large companies such as Nestle that have recently begun shifting toward using more natural ingredients and fewer chemicals in some products. Though vanilla prices have fluctuated in years past, the cost of one kilogram was well below $100 as recently as five years ago, according to industry reports. In 2017, it soared to a record high of $600 per kilogram, according to a Financial Times report. Vanilla acts as a flavor enhancer for sweet foods and desserts and is used in most baked goods, as well as many ice cream flavors. Much of it comes from Madagascar, but vanilla beans also grow in Tahiti and Mexico. 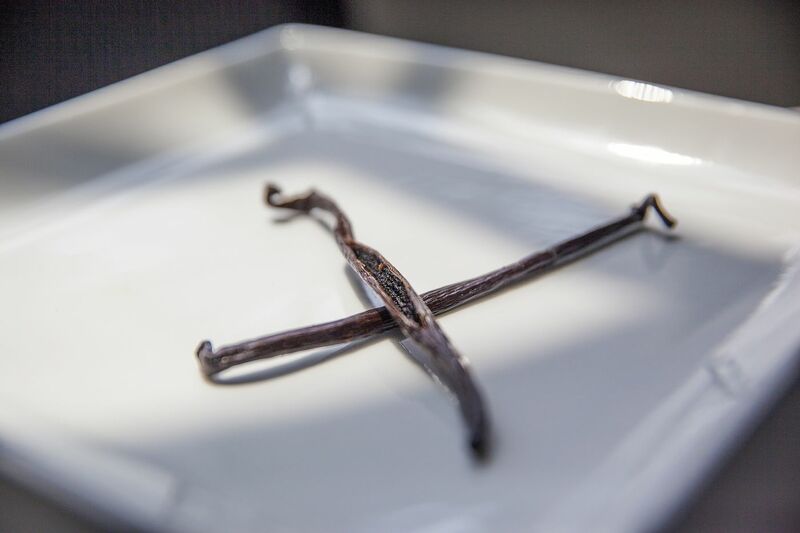 It takes at least three years to grow a vanilla bean and months to harvest the pods, meaning any dramatic increase in supply may be more than a year away. Several local business owners confirmed they too have felt the impact of the shortage. Zoë Lukas, owner of Whipped Bakeshop in Fishtown, said a gallon of pure vanilla now costs her $250 to $300. "We used to be able to buy that amount at closer to $60 a gallon a few years ago," Lukas said. She said that she had also raised prices over the last year, but that vanilla wasn't a leading factor. Strange hoped the supply might start increasing by the end of next year. In the meantime, some companies may start looking to vanilla alternatives. Though Strange dreaded the response to setting higher prices, he said the company's bottom line has been unaffected thus far. "I hold my breath every time we send out a price increase," he said. "But I always hope people don't mind paying a bit more for ice cream. Because even now, it's still a relatively inexpensive product."